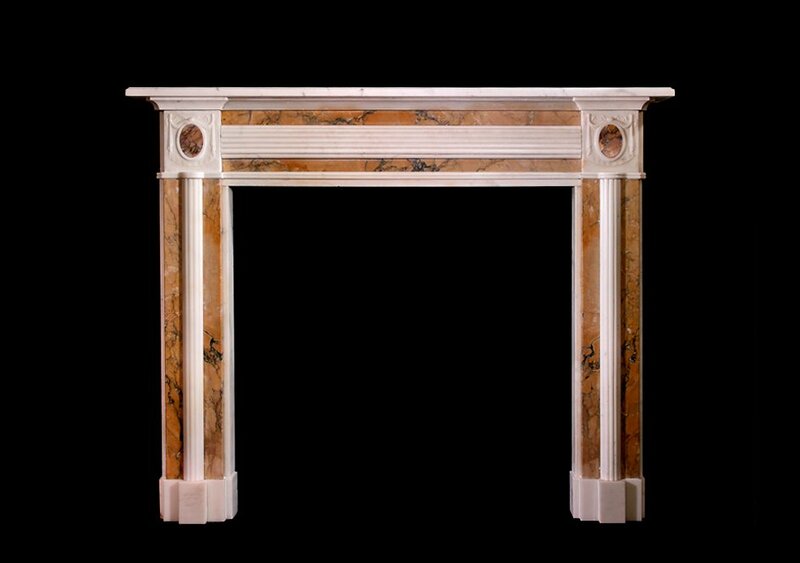 A very elegant and smart Regency chimneypiece in Statuary marble with raised reeded panel to the frieze flanked by slips of richly figured Convent siena. 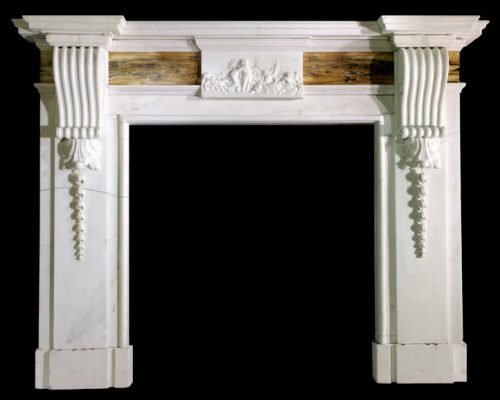 An English chimneypiece in Statuary marble with bookmatched Siena frieze panels each side of a carved centre tablet with strong corbels under the corniced shelf. 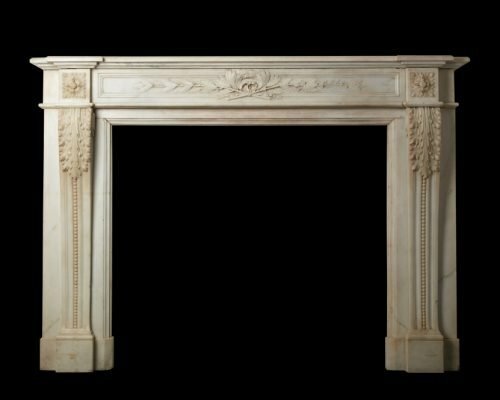 Louis XVI style chimneypiece carved in Statuary marble. 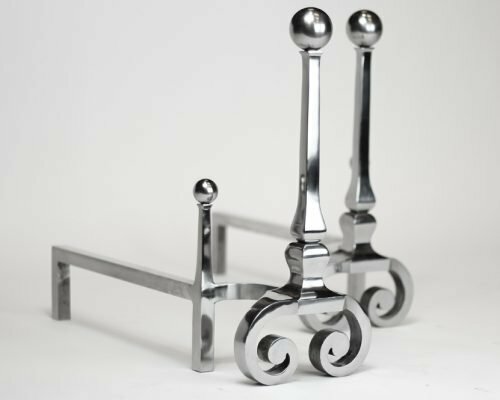 The finished product has a lustrous and uniquely hand crafted quality which is only found in hand forged steel.